On Saturday the 21st of November, ten of Europe’s best golfers with disability joined the young players of Portugal to compete for the Chris Stilwell Trophy. 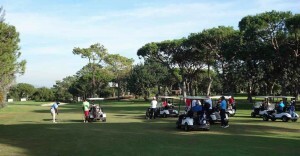 The event, which saw one “handi” player lead three young players in a team format competition, was hosted at the Vilamoura Laguna course. With players from Sweden, France, Belgium, Spain, Denmark and Holland, it was truly a very international field, and all the handi players were full of praise for the young players that they partnered. One player commented that, “the course was ideal for this format, a good layout, a stiff test in the wind and some very challenging holes”. 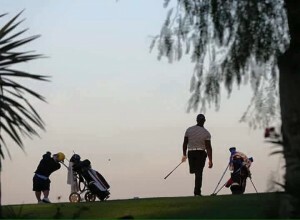 After a trio of late birdies under pressure, Manuel de Los Santos took a deep breath and held his nerve to prevail in a dramatic sudden-death play-off to win the European Disabled Golf Association’s Algarve Open 2015. Friday’s second round (20th November) was played out in brilliant sunshine at the Pestana Vila Sol Resort, with a good crowd of well-wishers and EDGA players relishing the action as tournament leaders de Los Santos and Mathieu Cauneau returned to the 18th tee after both recording a two-round total of 152. Supported by the Algarve Tourism Association (ATA) this was always going to be a special finish to the EDGA season, with the ATA making all players feel very much at home for the three days of practice and the event itself on the challenging 5,975-meter Pestana Vila Sol course. For a good period Frenchman Cauneau looked ‘the man most likely’ after a solid pair of 76s – for more click here. Shining under the sun of the Algarve in Autumn, two players who have lit up the EDGA season – Joakim Bjorkman and Manuel de Los Santos – share the lead in the final big event of the season. 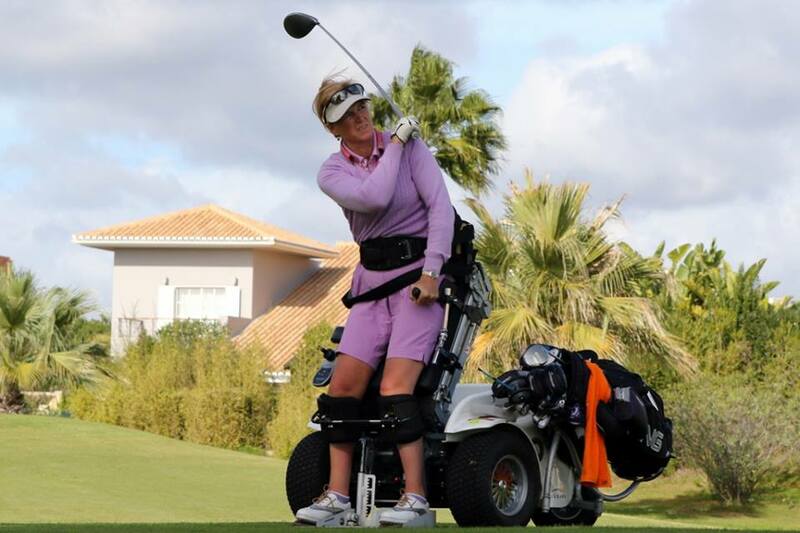 Sweden’s Bjorkman and de Los Santos of the Dominican Republic both scored impressive +2 74s in the first round of the European Disabled Golf Association’s Algarve Open 2015 on Thursday (19 November). Held at the Pestana Vila Sol Resort, all the players had to deal with the highly challenging first five holes and tricky greens on the par 72 course which was in superb condition. Supported by the Algarve Tourism Association this was always going to be a special finish to the EDGA season. For more on this story, click here. From 2016 talented golfers, who meet the golf handicap requirement and work in golf, will be able to enrol on the three year training programme provided by PGA’s of GB&I. 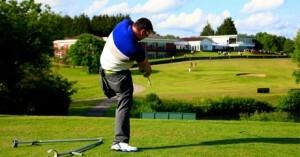 The move follows consultation with the European Disabled Golf Association to establish a framework of equivalent entry level handicaps for golfers with disability from various impairment groups. 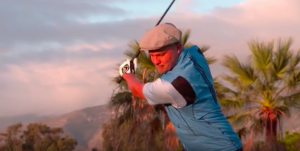 “A common thread across all the very best players, regardless of their abilities or disabilities, is the struggle they have gone through to achieve their potential,” said EDGA president Tony Bennett who is himself a PGA Master Professional. “A high performing able-bodied player may reach a lower handicap than an equally high performing player who plays with a physical, intellectual or sensory impairment. The PGA recognises this and so are leading the way with this initiative”. To read more about this story and quotes from UK player Chris Foster and the PGA chief executive Sandy Jones, click here. Mike Birch from European Tour Productions (ETP) has produced a short teaser for the upcoming production of a film about the European Team Championships, which was held at the Parador de Malaga golf course a coupe of weeks ago. The three minutes teaser film is an excellent resource and anyone who wishes to use it should send a short note to our communications manager John Bird at comms@edgagolf.com with your request, which should include where it will be shown, and for what what purpose. All we ask is that you give the appropriate credit to EDGA and ETP. John will send the credits to be used. It is with great sadness that we mourn the passing of our colleague Bengt-Arne Johansson. 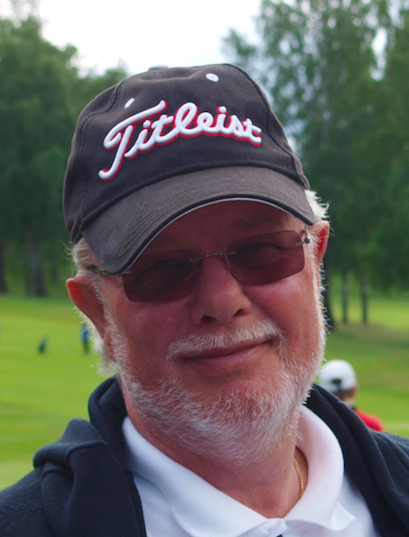 Bengt-Arne was one of the premier athletes as well as a driving force in the golfing world and his presence will be greatly missed. Bengt-Arne Johanssons achievements are many, from the Paralympics and World Championship gold medal with the sledge-hockey national team and many titles from Handigolf, both national and international, his six Italian Open championships are just one example.